With costs rising for raw material and due to the appreciation of the Chinese currency, logistics is a key area of opportunity for dramatic cost savings. 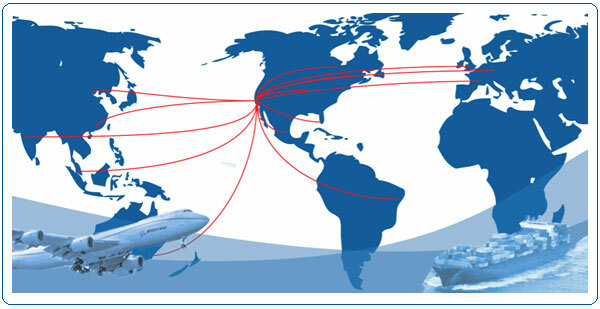 Our logistics team negotiates directly with steamship lines and airline carriers to provide you our volume discounted pricing. Our logistics team handles shipments all over the World and if you need to deliver a product to a different Port, City or Country, contact us to assist you in delivering products for a lower cost. In 2012, Sunscope® shipped to over 65 countries around the World.